In 2014, this seems a rather dull, uninteresting and irrelevant loudspeaker, but in 1995 some saw it as nothing less than the future of budget hi-fi. Why? Because the Coda 7 was at the vanguard of a new generation of speakers that drew a clear dividing line between ageing nineteen eighties budget boxes and the modern ones to come. It was a far more sophisticated sounding speaker than both earlier Codas and also its arch commercial rival, the Mission 760i. Like the Mission it used a plastic moulded front baffle – at the time this was very rare, and gave the 7 striking looks to contemporary eyes. Unlike the Mission its front baffle was all soft, curvy and swoopy – making it look bang up-to-date. Rather like mid-nineties sports cars, it may look bland and anodyne now, but was regarded as absolutely cutting edge at the time. Within months of release, it was at the top of the British sales charts. This wasn’t just for its zeitgeisty styling, but also for its surprisingly svelte sound considering its modest retail price. Back at this time, budget speakers were usually crude or even nasty sounding devices, but KEF seemed to have a good bit more refinement. It was interesting for its use of a 25mm fabric dome tweeter; this was nothing special in itself, it’s just that it went against the trend of rather uncouth metal domes which had dominated budget speakers for some five years or so. It also went up to a claimed 20kHz (-3dB) fairly cleanly, too. The 300x180x235mm box was just small enough to fit into the mini-speaker category, but larger than some rivals and this gave it a helping hand to get an unusually high sensitivity figure of 91dB (1W/1m). It had surprisingly deep bass to for its size, dropping down to 48kHz (claimed) at -3dB. This and the high sensitivity meant the Coda 7 was a tough load; although nominally 6 ohms, you’d want a punchy transistor amp like an Audiolab 8000a driving it. These days a Cambridge Audio Azur 651A would be ideal. Although it looked elegant, at 3.3kg it wasn’t made from granite. The KEF Coda 7 had a fairly resonant cabinet, but still worked in a benevolent way, with a surprisingly warm and smooth sound. Remember that a lot of budget CD players of the day were pretty coarse, so it was an ideal match. Generally the KEF sounded open and expansive with a decently extended and musical sound. Its 135mm B130 mid/bass unit integrated seamlessly with the tweeter to make a sophisticated £130 box, although by today’s standards it’s a little light on detail and vague. 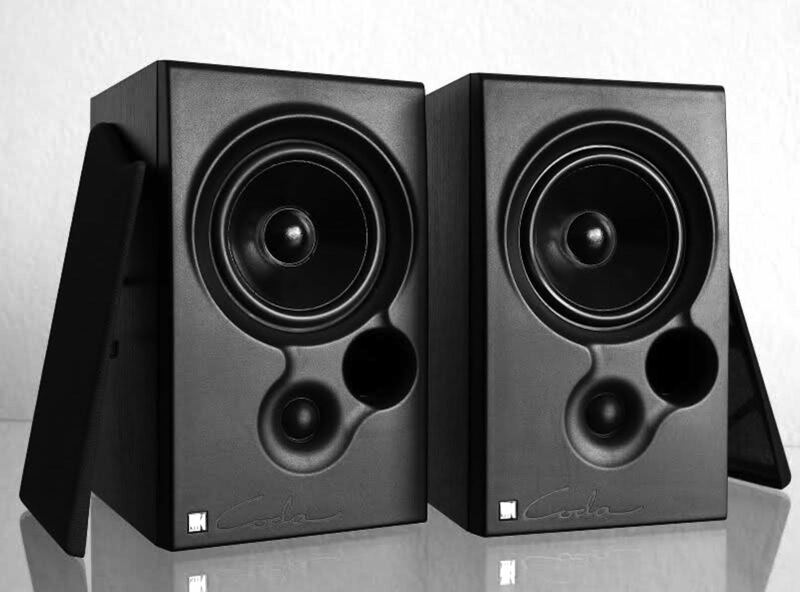 These days, you can pick Coda 7s up for pennies – pay £30 for a good pair. As speakers for a second system they’re ideal, still sounding surprisingly modern yet having a beguiling nature that you don’t get from many contemporary entry-level boxes. Oh, and sometime in about 2025, they’ll suddenly start to look incredibly ‘period’ and prices will rise as the Britpop generation seek to recreate magic moments with their retro Oasis CDs! Sounding good still in 2019. Used with tidal and a Dac through Arcam power amps.